Lugging a carry-on, all your gear, and a snowboard bag through an airport can leave you feeling like you don’t have enough hands. That’s why Dakine introduced the Dakine Low Roller Snowboard Bag, a convenient bag that can attach to your roller luggage to free up your hands and spare your shoulders. There’s also a removable boot bag and all-over padding to protect your gear and provide you with better ways to keep organized. 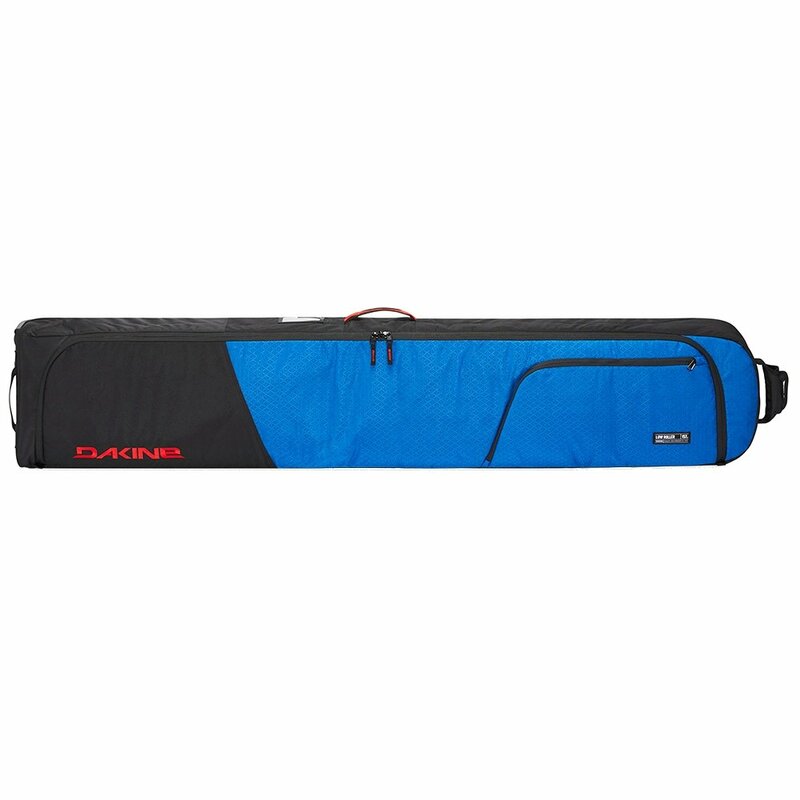 The Dakine Low Roller Snowboard Bag holds two boards, or one with bindings, and still has an exterior pocket for extra storage. Dimensions (175): 12" x 6" x 74"
"Hi, Do you have a pickup option in miami? Thanks." "Thank you for your inquiry. Yes, your order can be sent to the store using the store address for the shipping address. To send items to the store typically takes 1 day business day. We recommend placing your only a few days before your arrival at the store. We hope this information helps! "